Looking to see where the NIH funding is at University of Alabama? The following is a list of 13 projects that have over $1Million of funding from the NIH. Federally funded research expenditures at the University of Alabama, Birmingham, have been on the rise in the past few years. 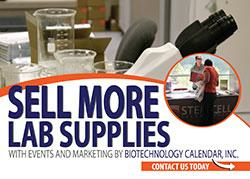 UAB reported that it’s life science research expenditures reached over $472M last year. 2016 Life Science R&D Expenditures: 29th Ranked = $472,114,000. The NIH awarded the University of Alabama $238,461,007in life science research funding in 2016. The University of Alabama at Birmingham Comprehensive Cancer Center has received a five-year, $29 million grant to renew support for its cancer research program. The UAB Center for Clinical and Translational Science received over $8 million from the NIH in 2017. The center has received over $25 million since 2015. Biotechnology Calendar, Inc. presents an opportunity for you to meet with these top-funded researchers at our event held at UAB on November 1st. More than 10,000 robotic surgeries have been performed by the UAB hospital, making it the first medical facility to reach this milestone. Call today to secure exhibit space in Alabama’s largest growing market and learn how easy meeting your target market can be.